Periods of stress can be taxing on the body. 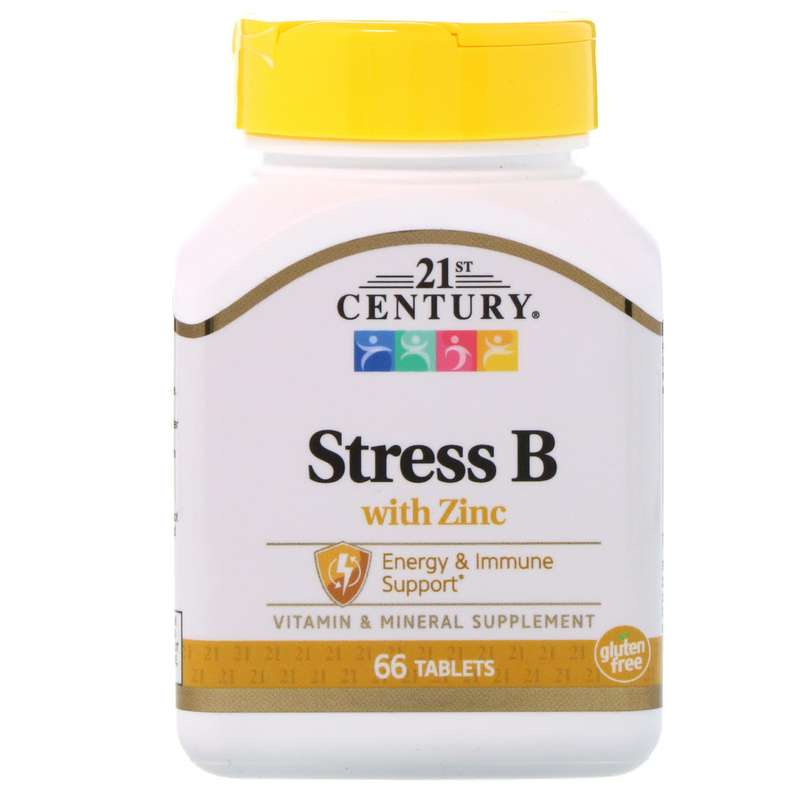 Combined with a healthy diet and plenty of rest, 21st Century Stress B helps provide the extra nutritional support your body may need. Cellulose, starch, hydroxypropyl methylcellulose, stearic acid. 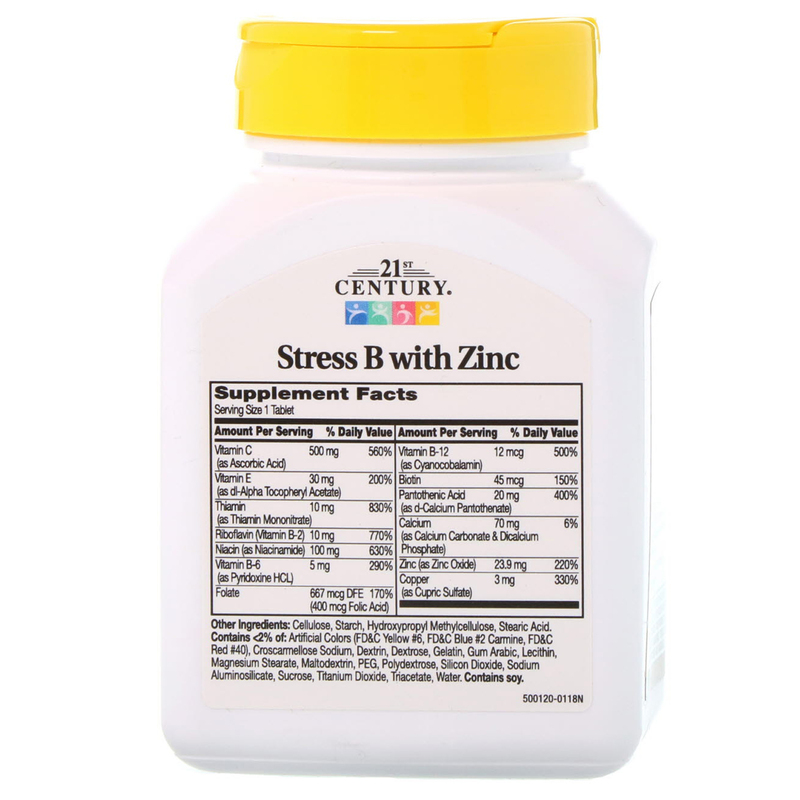 Contains <2% of: Artificial colors (fd&c yellow #6, fd&c blue #2 carmine, fd&c red #40), croscarmellose sodium, dextrin, dextrose, gelatin, gum arabic, lecithin, magnesium stearate, maltodextrin, peg, polydextrose, silicon dioxide, sodium aluminosilicate, sucrose, titanium dioxide, triacetate, water. Contains soy. No added sugar, yeast or preservatives. Consult a healthcare provider prior to use if pregnant, nursing, on medications, have a medical condition or are planning a medical procedure. Stop use and contact a medical procedure. Stop use and contact a physician if adverse reactions occur.